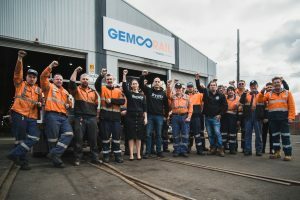 Industrial Action at Gemco South Dynon commenced last week, putting pressure on the company to abandon its unreasonable position at the bargaining table. Despite making a considerable profit last financial year, the company has refused to budge on reasonable claims that will see Gemco members gain conditions that other rolling stock members across the state have had since the turn of the century. Notably, an industry standard redundancy entitlement and the inclusion of five bonus days. Gemco’s existing redundancy entitlements are sub-par. They offer a 16 week cap at 9 years service and drop to a 12 week cap at 10 years’ service. If the RTBU’s claim is accepted the redundancy would be capped at 21 weeks. As it stands only two members would be immediately affected by such a change indicating this is more about Gemco managements ego than any form of common sense. The second outstanding claim of bonus days have been a staple of rail agreements for 15 years. The company initially proposed two days, subject to stringent KPIs. The RTBU bargaining team provided a counter offer that would see the full five days partially funded by members and see them phased in over a three year period, which the company blatantly refused. Members at South Dynon have unanimously rejected managements current offer and responded by endorsing bans that restrict overtime, undertaking gauge conversions, use of personal tools and any change of roster. Those bans are currently in place and will remain in place until further notice. Members want an industry standard agreement, and they will fight to get it. Unfortunately, in the Public Transport Industry, and especially in front-line roles, our members face serious safety risks on a daily basis. 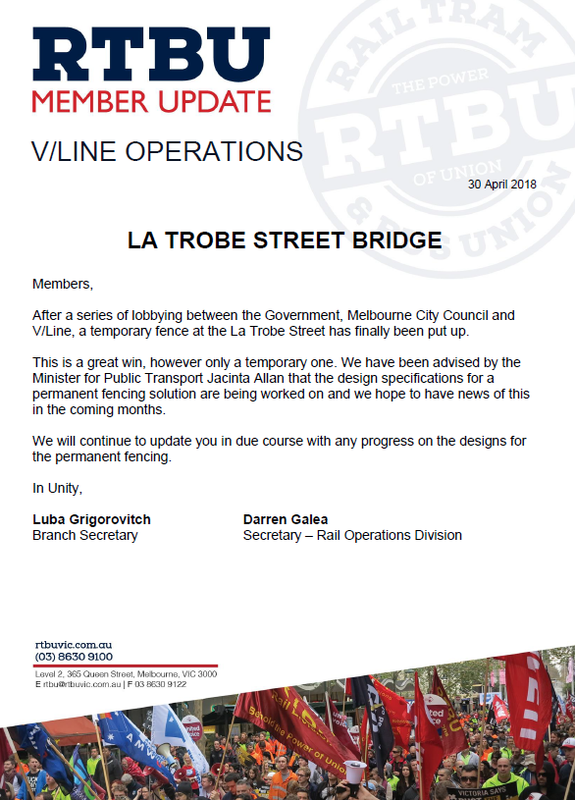 As I’m sure many members are aware, the RTBU has long been campaigning for two-up on all Barriers across the network, and for Conductors on all V/Line Services. While the calls for two-up have continued to go unanswered, the RTBU searched for another way forward to help protect our front-line workers. The RTBU is currently lobbying the Victorian State Government to introduce harsher penalties for assaulting a Public Transport worker. Currently there are penalties that exist for assaulting emergency workers such as police officers, protective service officers, operational staff within the meaning of the Ambulance Services Act 1986, a fire-fighter, and other emergency workers listed in section 10AA(8) of the Sentencing Act 1991 (Vic). The minimum penalty is a 6 month term of imprisonment for a person who intentionally or recklessly causes injury to an emergency worker on duty. Following the introduction of this legislation, along with effective state funded publicity, many of these workers have reported improvements in their experience at work. Public Transport workers are no different and deserve this same respect that Emergency workers do. The South Australian Government has introduced penalties for assaulting Public Transport workers which sees perpetrators facing up to 25 years imprisonment. The time is now for the Victorian State Government to leap into the 21st century and protect the workers who keep our transport system moving each day. 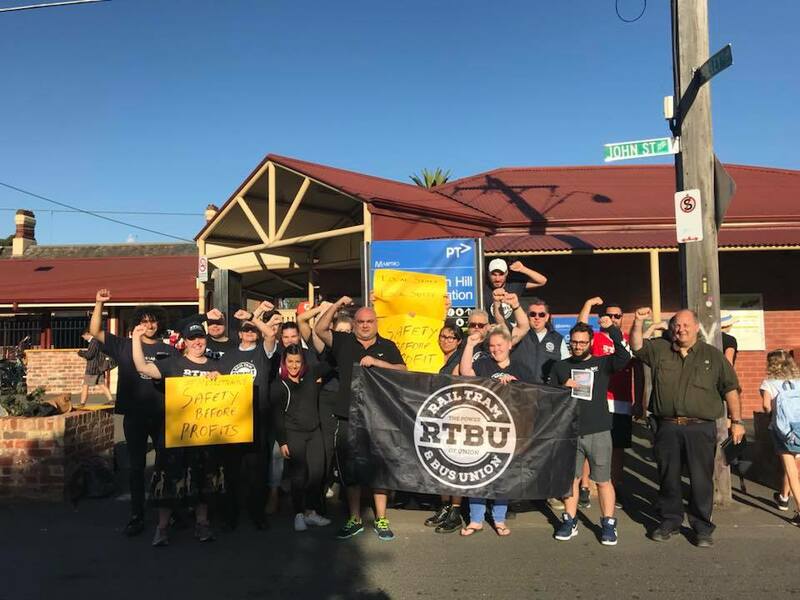 The RTBU urges the Victorian Government to firmly consider adopting such legislation to ensure safety, certainty and security to front line public transport workers. It is time for our State Government to come to the table and do what is necessary to protect Public Transport workers. The time is now. We will continue to update members on the campaign and with any progress in this space. If you have been assaulted at work or are experiencing violence related issues (verbal and non-verbal) in your workplace, please contact the RTBU on 8630 9100 or at safety@rtbuvic.com.au to log an incident report. For further information and to view the letter sent to Minster for Public Transport Jacinta Allan, click here. Last month the RTBU sent out a letter to all members asking them to update their membership details with the union. It was great to see that a huge amount of members took the time to update their details, thank you. Those who updated details went in the draw to win a prize. Welcoming in 2018 and once again Metro are in the spot light with the proposed removal of Control Desks in the Clifton Hill group of stations. That means no Control Desk staff at any locations within that group. By getting rid of the Senior Station Officer roles, it removes the in-depth knowledge and understanding of the surrounding local area, for example passenger assistance, attending to emergencies on the platform, on the train and having staff there readily accessible if things go wrong. On the job meetings have occurred over the last few weeks at the four Control Desk locations being Reservoir, Clifton Hill, Eltham and Heidelberg Stations. It was a great turn out from members at many of these meetings, with many members turning up in their own time. Members who are not Control Desk operators attended to support their colleagues in this attack on jobs, and to protect jobs within the station grade. There has been a great show of support from station staff across all groups in this fight that the Clifton Hill group are currently facing. This proposed closure of the Control Desks is currently in Dispute, with Metro Management reluctant to pick up the phone to work this out. This is nothing new and it shows the lack of consideration that Metro have towards their staff and family members whom it will affect the most. The RTBU and our members take this very seriously and will do whatever is in our power to support members and ensure that no jobs or conditions are lost. So, to all the members in the station grade, support your colleagues in the Clifton Hill group, make this your fight as well because in the long term, it will be affect all groups. To the wider membership of the RTBU outside the station grade, please make it your business to support your fellow comrades. The Rail industry is not utilised as an industry business where it must please its shareholders, it is an essential necessity for the public and will always remain this way.